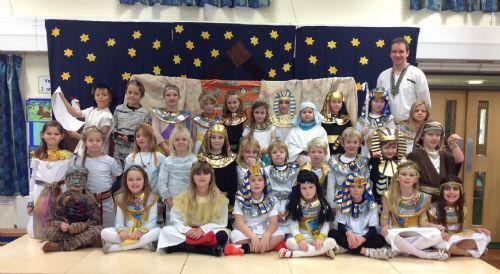 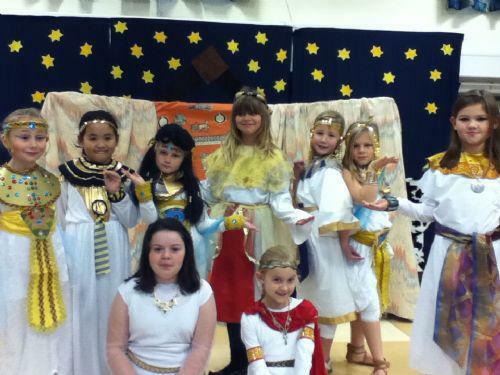 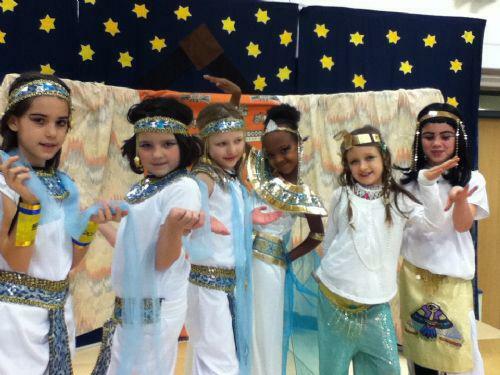 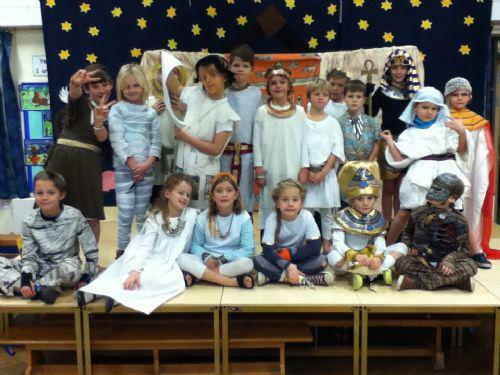 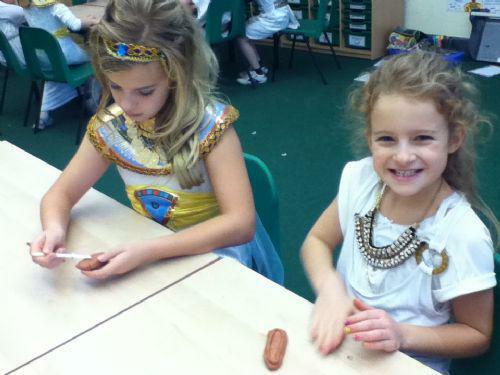 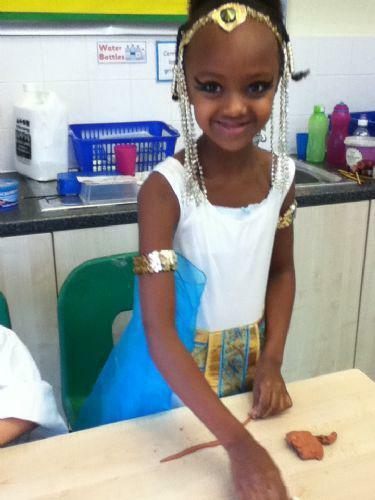 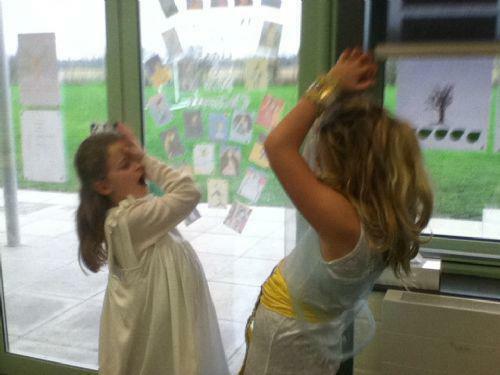 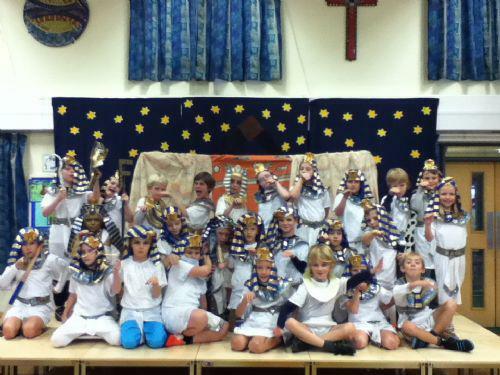 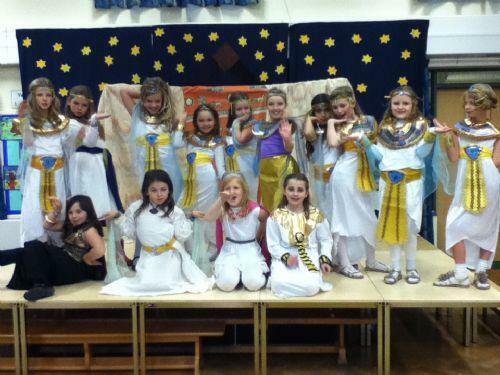 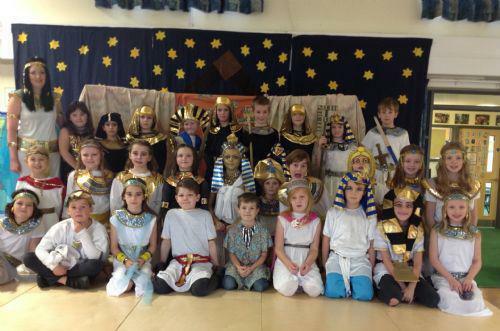 It was Egyptian Day for Year 3 and 4 and we all came to school wearing fantastic costumes. 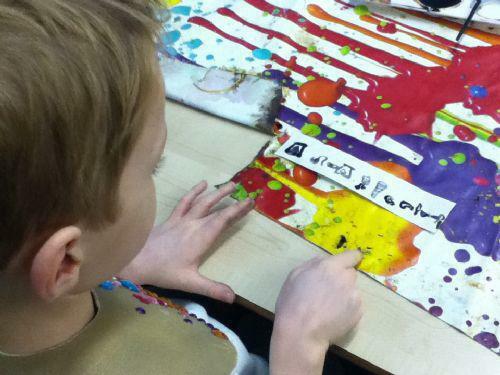 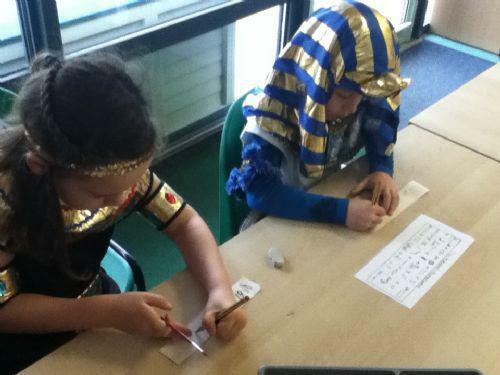 We have already learnt lots about the written language used by the Ancient Egyptians. 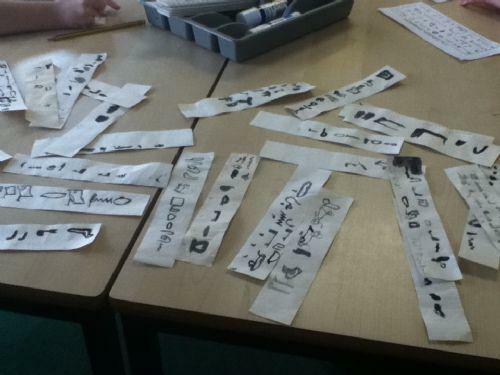 Today we found out about the origin of hieroglyphics and how the Rosetta Stone helped us to decipher them. 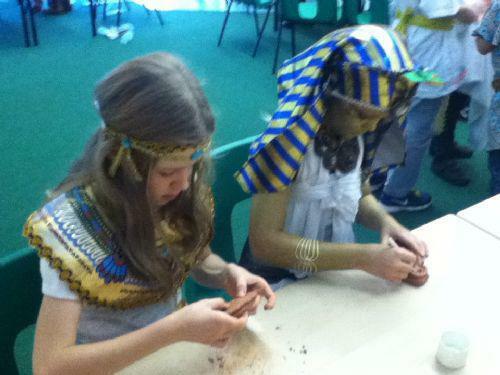 It was then time to explore the Ancient Tombs of Egyptian Kings… First we learnt about the meaning of Cartouches and their importance in Ancient Egyptian culture. 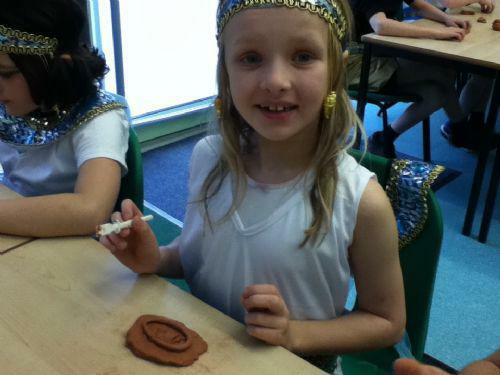 Did you know only royalty had Cartouches? 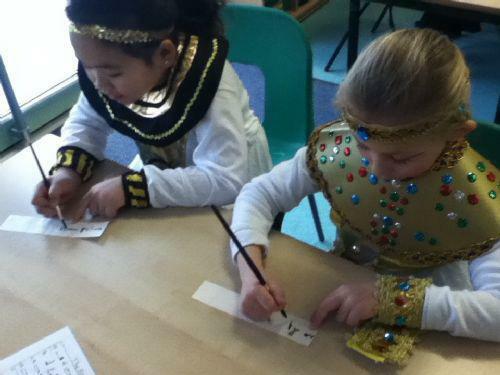 We learnt that the oval shape around the hieroglyphics represented a rope which Ancient Egyptians believed protected the sacred name of the king. 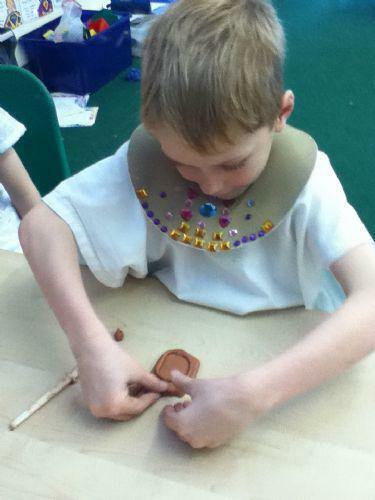 We used air drying clay, kindly donated by Mr Rogers, to mould an oval shape and carve our names or initials using a range of tools. 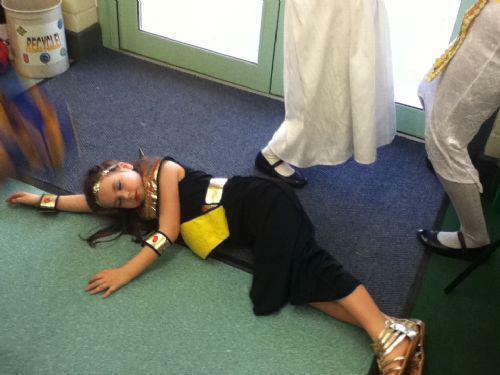 Finally it was time to be dramatic! 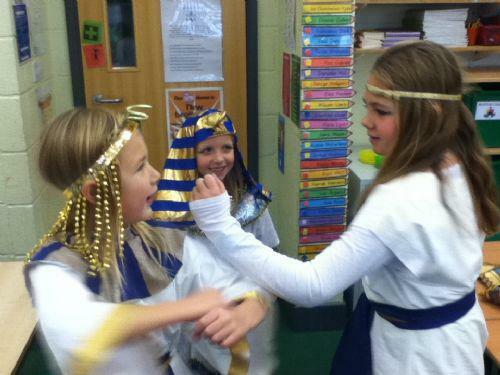 We listened to a story about the Ancient Egyptian gods Osiris, Seth and Horus and then re-enacted the key scenes using expression to show different emotions. 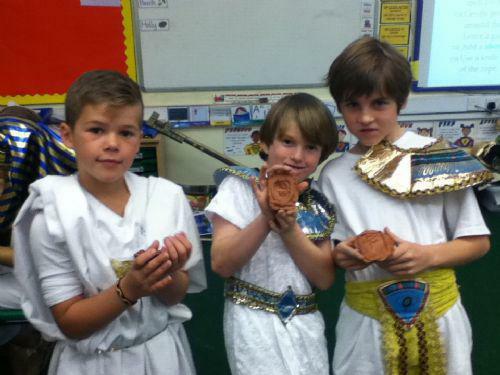 Did you know there were over 2,000 Ancient Egyptian gods? 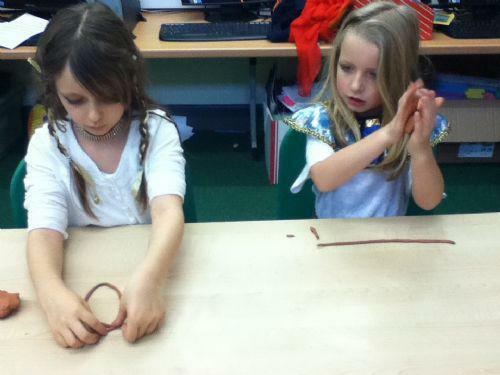 We also practised action and reaction for battle scenes. 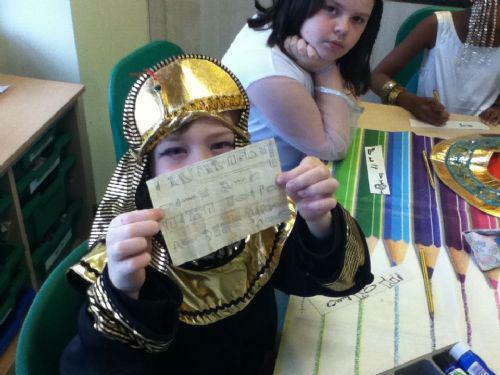 We had an amazing day and learnt lots of fascinating facts. 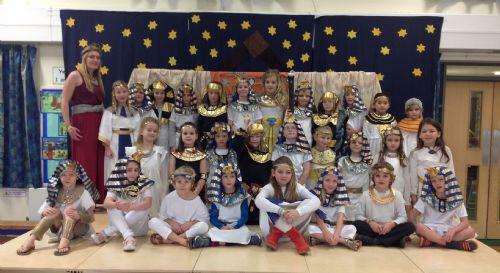 Year 3 and 4 would like to thank all the parents for their support with this day.